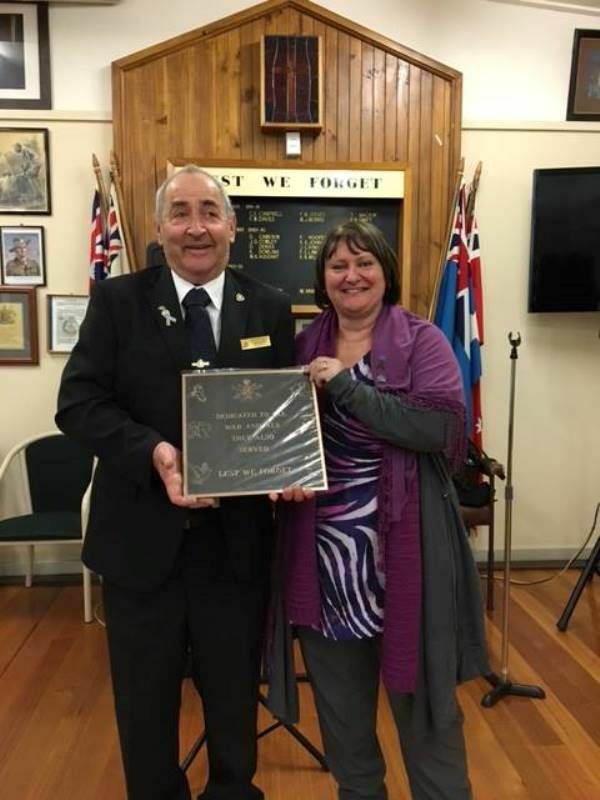 A plaque commemorates all animals who have served our nation in times of war and peace. The plaque recognises the sacrifices and deeds that animals have undertaken in battlefields around the world. 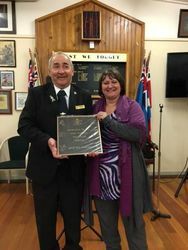 In August 2016 AWAMO Director Wendy Harrison presented the Croydon RSL Sub-Branch with this War Animals Remembrance plaque on behalf of the Australian War Animal Memorial organisation. 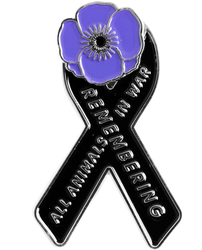 This is the first in Victoria and ex-service personnel and volunteers will be selling Purple Poppy items in and around the Croydon area for Remembrance Day. Animals have played a very significant role in assisting our defence forces over the years and the memorial plaque is to show support for the many dogs, horses, mules, donkeys, camels and pigeons who have bravely served Australia. The recognition of animals in war is not new as three pigeons had been awarded the Dickin medal – the equivalent of a Victoria Cross – in World War One and a British mine detection dog in Afghanistan has also received the same award.